A trip to the dentist’s office shouldn’t scare you. On the contrary, you’re taking charge of your health, which should ideally make you feel empowered. After your appointment, you’ll have a bright smile and the improved self-confidence that goes along with it. Still, a bit of nervousness is understandable. Many people don’t know why dentists do certain things, which makes some patients apprehensive, so here’s a guide to demystifying common dental practices. How Does a Dentist Keep the Office Clean? No, this isn’t a conversation about sweeping and mopping; it’s about hygiene. Employees at a dentist’s office understand the importance of cleanliness and take many steps to protect patients from germs. That’s why they wear gloves before, during, and after a procedure. Workers also spray disinfectant in the waiting area and anywhere else human contact is likely. This cuts down on things like common cold viruses. Similarly, they thoroughly sterilize their tools before they come near you. Instead of sterilization, some of the dental tools are disposable. Rather than risk germs spreading between sessions, dental employees simply open a new pack each time. Should you see a worker using an opened package of tools, you should ask for an explanation since that’s not standard procedure. Dental employees also wear face masks and disposable gowns to protect you and themselves from the spread of disease. They take these precautions for when someone sneezes or coughs. The face masks are especially effective at stopping germs. A disposable gown guarantees that any germs the earlier patient had are now in the trash. Why Does a Dental Worker Make You Wear Protective Eyewear? Over the years, dentists have developed new ways to make patients more comfortable as well as keeping them safe. One of the smartest decisions is the usage of protective eyewear. The glare of this bulb is intentionally bright so that the dentist can see into the deepest recesses of your mouth. You may think that dentists ask you to wear glasses to shield you from the overhead light, and while that’s certainly part of it, it’s not the whole picture. Your dentist also understands that fluids fly out of your mouth and into the air. Whether you’re getting a cleaning or something more serious, the contact of a dental tool with your teeth and gums regularly causes a splash, and you don’t want any of those fluids getting in your eyes. Similarly, you don’t want to be on the receiving end of a sneeze or cough from a dental employee. Since you’re in a sitting position, your dentist or hygienist is always above you. If they sneeze or cough unexpectedly, their fluids are likely to hit you in the face, which makes the protective eyewear and masks a good idea. Of course, fluids aren’t the only concern. Some of the dental tools are heavy, sharp, or both. Should a worker drop one, you need the safeguard to make sure you don’t suffer eye damage. Why Does the Dental Worker Wear Protective Eyewear? The best dentists require the same of employees. Eyewear or a face shield protects them in the same way. While fluids aren’t as likely to strike dental workers in the eyes, it’s still an issue. These employees often bend over to work inside your mouth. They need the same protection you do. Also, blood is an unfortunate reality in some dental procedures. Patients who haven’t taken care of their teeth or gums often experience bleeding issues. That blood sometimes splatters, which can become a risk of contracting blood-borne illnesses. They don’t want your germs any more than you want theirs, so the protective gear safeguards them against blood and other fluids as much as you. 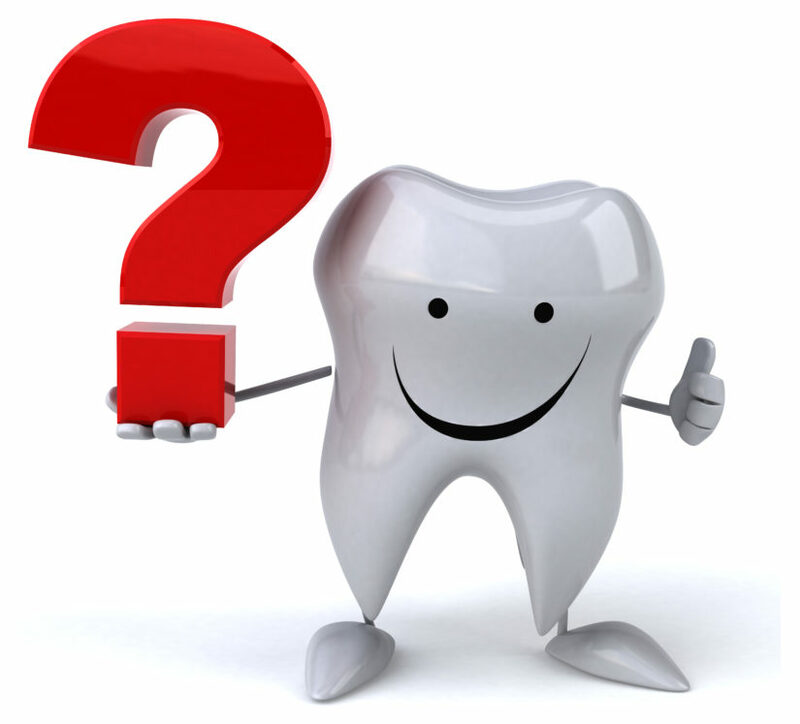 Why Do Dentists Use Dental Dams? First of all, what is a dental dam? It’s a thin layer of latex which is commonly spread over an area to prevent direct contact between things. Commonly, a dentist will attach the dental dam to the specific area of your mouth that they wish to work on. Then, they secure it in place by adding a connecting clamp to hold it in place. Sometimes, when a dentist needs to work on specific area, a dental dam is the perfect way to isolate one or two teeth at a time for greater visibility. You may be familiar with this experience, but have wondered why or how it is done. In order to gain access to specific teeth or sections of your gums, they will poke a small hole in the dental dam and then slide a tooth through it. Doing this provides the best view of a tooth that needs work, and also helps to make cleanup a little bit easier. Dentists always have a reason for their procedures. With the information provided above, we hope that you now have a better understanding of what we do, and why we do it. If you don’t understand, however, we’re always happy to answer your questions. Please, always feel free to reach out to us or any of our 123 Dentist member clinics, and we’ll help however we can.